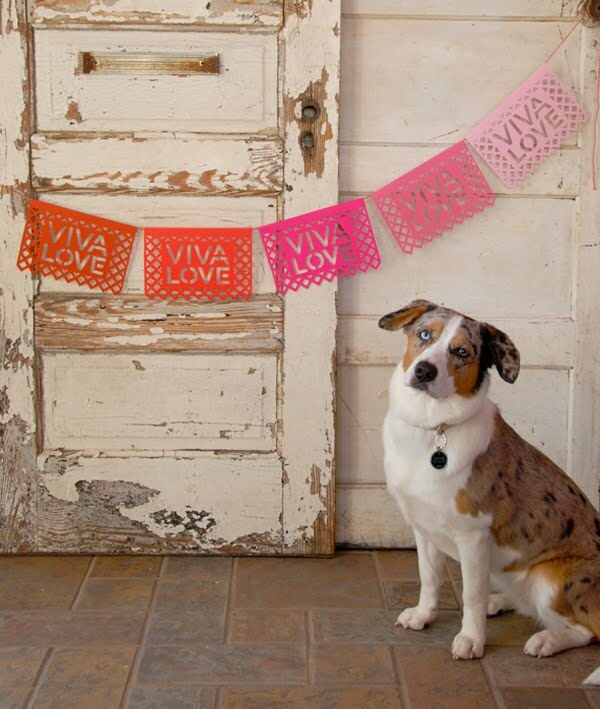 Hi, Friend sent me a link to their free template to make this Valentine's Day fiesta banner. So nice! And so time-consuming. You'd better get out your X-acto knife immediately. Do it. Tell your boss you've got better things to do, go home, and start cutting right this instant. P.S. This would be a great DIY garland for wedding receptions, too. Maybe instead of cutting by hand, you can use the file with your Cricut (or similar tool) and let a machine do all the work! I am going to try to cut this template...wish me luck! Thanks for sharing! I love it! Great. This project will give you some quality bonding time. It opens fine in Illustrator, so you can use the Illustrator plugin for Silhouette to cut it out!